Part of our City Sights NY 3 day package was a boat trip around Manhattan Island with the Circle Line cruise company. So, after 2 days, off and on, touring New York on a double-decker bus, on the third day we sailed. The Circle Line is New York’s oldest and largest cruise company. It has been sailing since 1945 and has hosted over 60 million passengers. It is one of the world’s most famous boat rides and the Circle Line terminal on Pier 83 is one of 42nd Street’s most famous landmarks. The cruise circles Manhattan Island and passes the other four boroughs – Staten Island, Brooklyn, Queens and the Bronx – that make up the five boroughs of New York. It heads south along the Hudson River, between Manhattan and New Jersey. It sails into Upper New York Bay for a glimpse of Staten Island, then rounds the south end of Manhattan and heads north up the East River, passing Long Island, with Brooklyn and Queens on the southern tip. It continues into the Harlem River and passes the Bronx, on the mainland. At the northern end of Manhattan, it passes back into the Hudson through the Harlem Canal for the final stretch back to Pier 83. The New York skyline looks different from the deck of our circle line boat. It is softened too by a veil of fine drizzle. To our right, on the New Jersey shore, lies Hoboken, home town of Frank Sinatra, once struggle town but now gentrifying like the rest of the Big Apple. On the left we spot Battery Park, the mile of land reclaimed from the Hudson, where the largest real estate development in the US forms a backdrop to Pier A, the oldest pier in NYC. Behind and above Battery Park is the forlorn space in the sky where the twin towers of the World Trade Centre once stood. We cruise up to the Statue of Liberty, holding her torch 300feet above the harbour and linger at Ellis Island, once the immigrants’ gateway to the US and now home to the Immigration Museum. We turn back between Governor’s Island, headquarters of the US coastguard and Lower Manhattan, passing the historic South Street Seaport with the Fulton Market in the block of century old buildings behind it. We cruise under the Brooklyn Bridge and the Manhattan Bridge. We pass the United Nations Building, (looking rather the worse for wear from this side) and Roosevelt Island, fully self-contained and dubbed ‘one of the most unusual new communities in the United States’. Just across the river the lawns of elegant Gracie Mansion, official residence of the Mayor of New York, slope down to the water’s edge. We sail under the Triborough Bridge which connects the Boroughs of Manhattan, Queens and the Bronx and look into the shell of Yankee Stadium which witnessed its closing game just weeks ago. We turn up the Harlem River and under the Spuyten Dyvil (Spitting Devil) Bridge, where, after 3 blasts on our boat’s horn, an invisible operator swings the center section open so that we can pass through. High on a hill at the northern tip of Manhattan, among the thick bush of Fort Trynon Park are the towers of the Cloisters, once a monastery and now an outpost of the Metropolitan Museum of Art. Our last Bridge is the George Washington, with its little Red Lighthouse, no longer operational but preserved as a children’s playground. The tomb of Ulysses S Grant, Civil War hero, slips by, followed by the Riverside Church, home of the World Council of churches and the Soldiers and Sailors monument, in memory of those who lost their lives in the Civil War. The circle is closed. The Circle Line brochure declares “cruises are designed to provide the best viewing opportunities, but also to be informative, comfortable and entertaining as well” Our Circle Line cruise did not disappoint. In fact it exceeded our expectations. Highlights for me, however, were not the landmarks, although I wouldn’t have missed the circle line views of them for the world. The most memorable parts of the cruise for me were the unexpected glimpses of quiet rrustic scenes; deserted little beaches and inlets, patches of forest, overhanging trees, shady parks contrasted with intensely the urban; grim apartment blocks in the Bronx where kids waved from high windows, fenced-in concrete courts in Harlem, where boys shot hoops. Lastly, there was David, a drama graduate, a history buff and an amazing raconteur, who brought landmarks, Boroughs, bridges, , islands and little secret spots along the river to brilliant life. 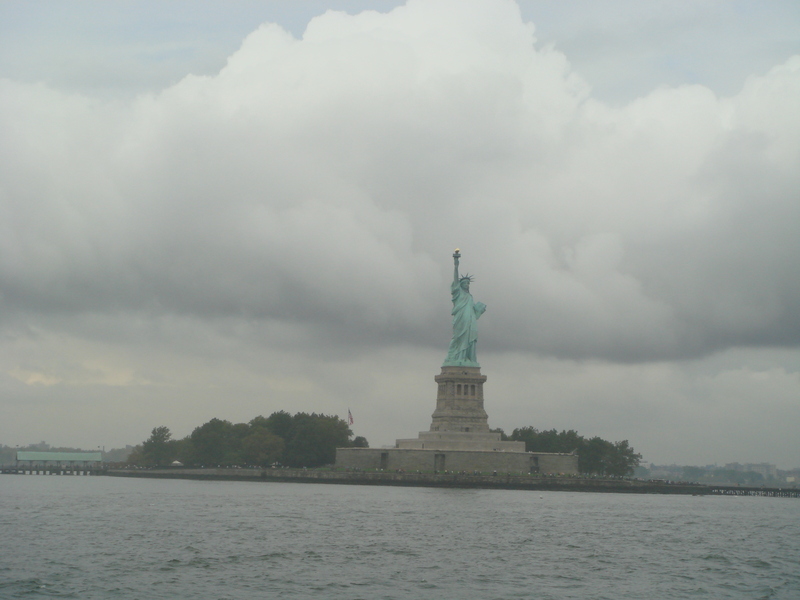 For those visiting NYC, this boat trip is an absolute must; much like the whale watching california excursions are essential for those visiting LA. 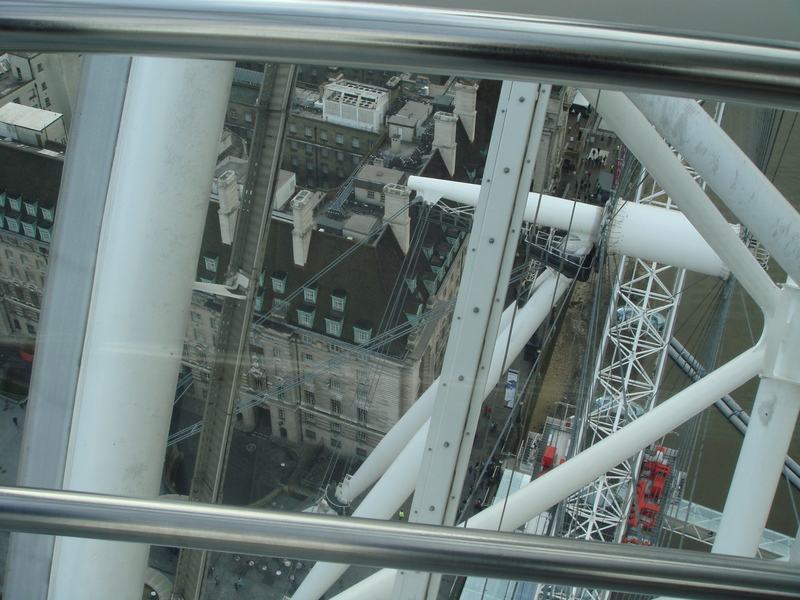 Although the latest and newest of London’s great landmarks, the London Eye has rapidly become one of its most popular. 3.5 million visitors per year pack like cattle into the queuing channels that stretch back from the river alongside County Hall, and wait for hours for a 45 minute whirl through the sky above the Thames. Originally named the Millenium Wheel, and quickly dubbed “the big bike wheel”, the Eye was commissioned to mark the turn of the 21st century. The spinning circle of the Eye is a metaphor for the passage of time. This great feat of architecture, engineering and design was masterminded by husband and wife team David Mark and Julia Barfield. The massive 2,100 ton structure was built further along the Thames then transported down the river in sections and assembled by a giant floating crane. The official opening and inaugural spin took place on December 31, 1999. At its highest point the Eye is 135 metres high. Its 32 air-conditioned glass observation capsules, each accommodating 25 passengers, give a spectacular 40 kilometre view over London. The London Eye was the tallest wheel in the world until 2006, when it was eclipsed by the Star of Nanchang and shortly thereafter by the Singapore flyer. Now it seems, every second city has its own Eye in the sky. While it has the look of towering ferris wheel, the Eye offers none the thrills. Apart from the quick and measured step into and out of the moving capsules, a turn in the Eye is a somewhat tame experience, not unlike a slow, gentle and silent scenic circle in a plane. Sponsors, British Airways, offer the same kinds of “This-is-your-Captain-speaking’ welcome on embarkation, as well as in-flight cautions about refraining from smoking, eating, drinking and leaning on doors (– as if!) and “We hope you enjoyed your flight” farewells as any plane trip. However, the panorama of London and the Thames is breathtaking. The close-up view of the hub and spokes of the huge, turning wheel and the companion capsules hanging above and below is awe-inspiring. For the vertiginous and claustrophobic, however, the Eye is as lovely from below and afar, as from inside and atop. From any vantage point, it looks sensational; it is beautiful seen from both the Westminster and the Hungerford bridges, looking from Embankment across the Thames, approaching from Waterloo past Shell Centre or strolling down Southbank. It is stunning by night, a radiant circle of neon suspended in the dark and at New Year, it is a shower of brilliant lights as fireworks explode around it. The Eye is a feature of the city skyline now, just as the Eiffel tower is part of the Paris horizon. Just like Gustave Eiffel’s tower on the Champ de Mars, the initial appearance of Mark and Barfield’s Eye on Southbank provoked fierce controversy and debate with the cons condemning it as an eyesore and a waste of money and the pros defending it as a monumental achievement of design, architecture and engineering. Just as the Eiffel Tower is a symbol of the French reach into the twentieth century, so too, the Eye is a symbol of the English turn into the twenty-first. And in the same way as the Eiffel Tower has endured to become a Paris icon, so too is the Eye becoming a London icon.